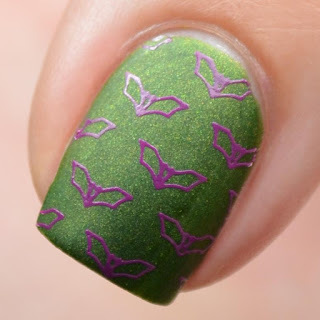 From time to time I go back and forth between different styles of nail art. Much like artists, I feel like I have different periods or moods to my work. Sure, it may not be as serious as a painting, but it's definitely a noticeable stylistic change. Recently I've been feeling more of a minimalist look. Today is another contribution to the #clairestelle8halloween challenge. 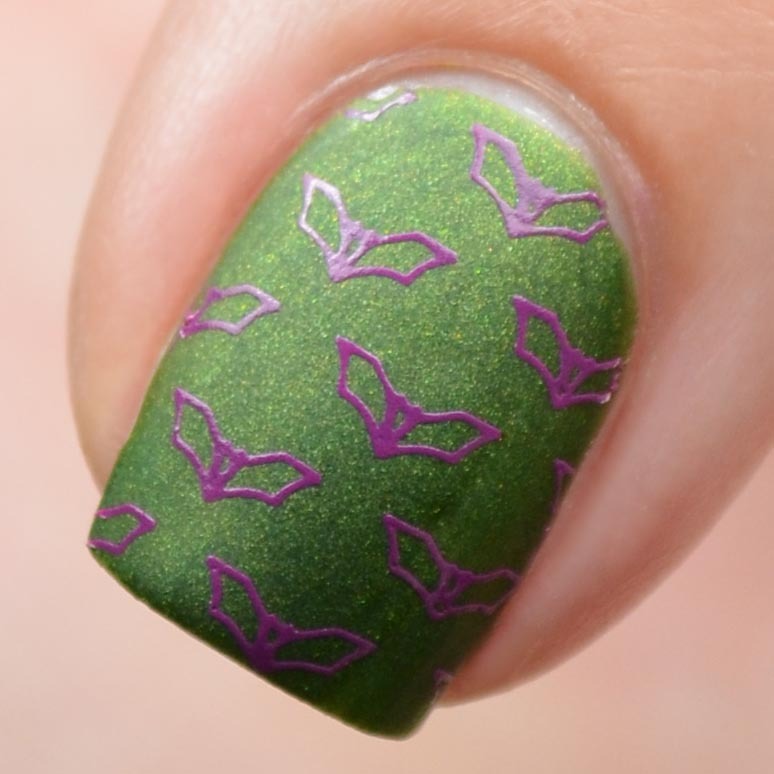 The prompt was bats, and after doing a handful of bat manis this month I wanted to do something completely different. Sometimes simplicity is all you need. If you enjoyed this post you might enjoy Frankenstein Halloween Nail Art featuring Anonymous Lacquer and Jackolantern Stamping featuring Firecracker Lacquer and UberChic Beauty.